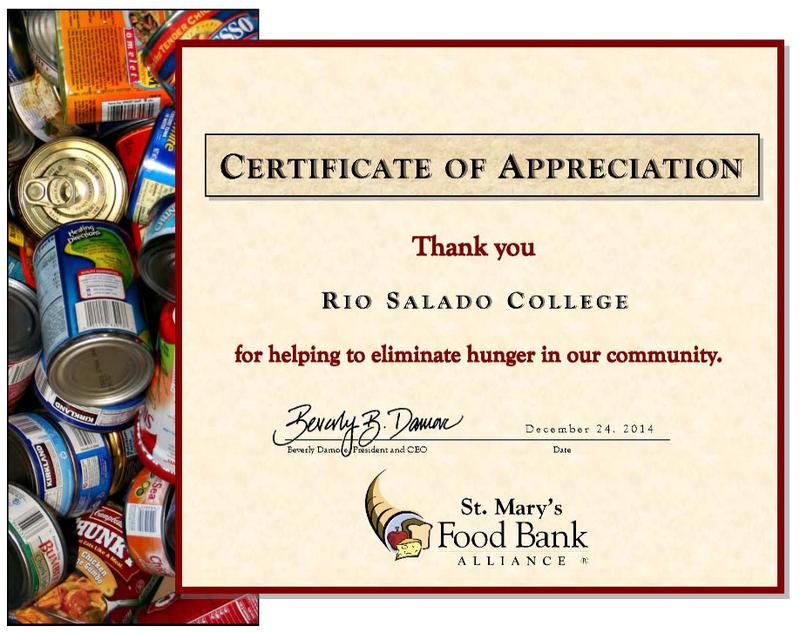 Rio Salado College | RioNews: United Way 2014 Great Success Thanks to You! United Way 2014 Great Success Thanks to You! We are pleased to announce that Rio Salado College raised approximately $18,300 during its 2014 employee giving campaign in support of the Valley of the Sun and Mesa United Way, including St. Mary’s Food Bank. Approximately $283,000 was raised by all ten Maricopa Community Colleges. The focus of our 2014 campaign was to Help End Hunger in Maricopa County. We appreciate the role you played in making this campaign a great success. Every action you take will make a difference.